This is a digital collage I made while the heat outside my window was scorching! I felt like escaping New England until the humidity passed but I made a collage instead. ( Much more logical!) 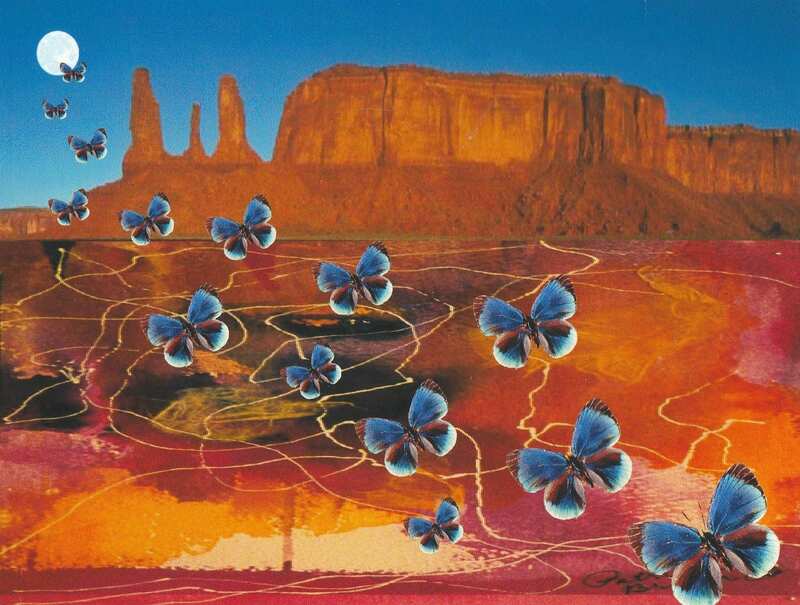 These butterflies are escaping the desert heat and flying to the cool moon. Multiples are always available in any design. Adore this pull of the moon card. Perfect. Always happy ordering from you ! Thanks !